Assembly Bill 746 (AB 746) was signed into law by Governor Brown in October 2017 and took effect on January 1, 2018. Since childhood exposure to lead has been shown to affect cognition, ability to pay attention, and academic achievement, AB 746 aims to safeguard water quality in California’s K-12 public schools. The law requires community water systems to test lead levels in drinking water at schools built before January 1, 2010. 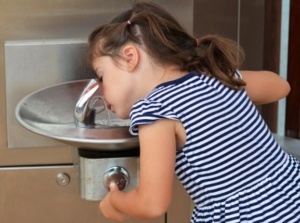 If lead levels are found to exceed 15 parts per billion, school districts are required to take immediate steps to shut down and make inoperable all fountains and faucets where the excess lead levels may exist. California Water Association regulated water company (RWC) members have been partnering with schools to comply with the new regulation. As a result of their successful outreach efforts, many of the RWCs have tested a much higher percentage of schools in their districts compared with the statewide average of approximately 30 percent. 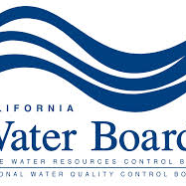 The RWCs expect to complete the testing well in advance of the July 1, 2019, deadline imposed by AB 746. 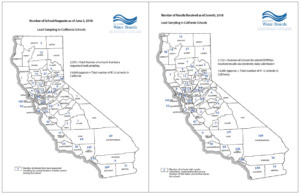 The lead sampling results map is available on the State Water Resources Control Board’s website for schools that have been tested.